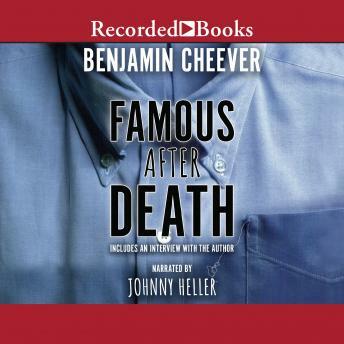 As a child of the esteemed writer John Cheever, Benjamin Cheever grew up in a household filled with books. For 11 years, Benjamin worked as an editor. When he started writing, however, he found his literary voice in satire. Famous After Death is a darkly comic look at some of America's favorite obsessions. Noel Hammersmith, an overweight editor of diet books, yearns to be loved by beautiful women. If he can slim down, perhaps this will happen. If he were famous, it would help, too. As a bewildering series of bombs goes off in Noel's neighborhood, he is contacted by a visionary writer who calls himself Che Guevara. Through him, Noel sees a brilliant way to attain thinness and notoriety at the same time. Cheever sets up his brilliant satire with an editorial preface, where he introduces the novel as the authoritative text of The Compleat Wordsworth Bomber. By alternating Noel's journal entries, letters, and annotations added by unnamed editors, Cheever skillfully builds layers of humor into this tongue-in-cheek profile. An exclusive interview with Benjamin Cheever concludes the audio production.